Experience a family-friendly adventure in Ohiopyle. Float down the river with the entire family on mild rapids just fast enough to excite the kids. Experienced outfitters like Laurel Highlands River Tours, Ohiopyle Trading Post & River Tours, White Water Adventurers and Wilderness Voyageurs can prepare you with all the gear you&apos;ll need for a family float trip. The Middle Yough offers a leisurely paddle and float, with plenty of time to swim along the boat and a few mild rapids. Kayak, raft, or canoe down the river and be sure to pack a lunch and enjoy a picnic on the water. Ohiopyle is known for the fast-flowing Youghiogheny River, which attracts whitewater boaters from spring to early fall. With Class III and IV rapids, the seven-and-a-half-mile Lower Yough is the busiest section of whitewater east of the Mississippi River and perfect for adventurers looking to challenge themselves. Families and beginners can enjoy a mild float on the calmer waters of the Middle Yough. Rafters of all ages will have a blast on the whitewater. 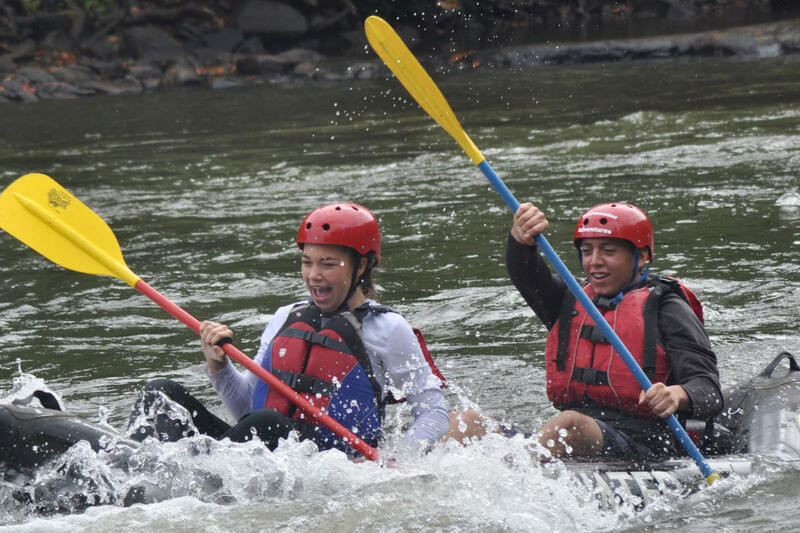 Seasoned guides will outfit you for the trip, lead you down the river and make your whitewater rafting adventure in the Laurel Highlands a success! Bring your bike, or rent one from any of the Ohiopyle outfitters, and hop on the Great Allegheny Passage at the Ohiopyle Trail Head. 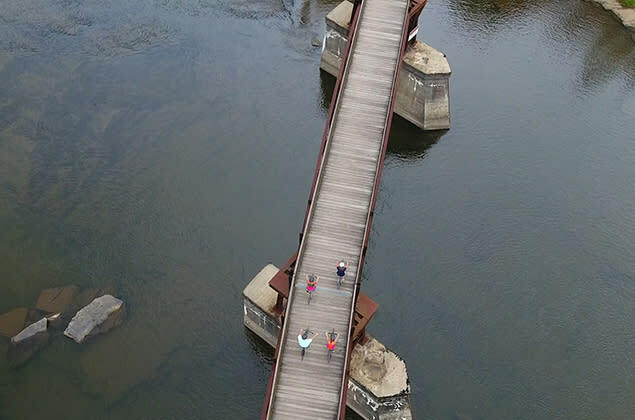 Pedal east along the banks of the Youghiogheny River for the scenic 11-mile ride to Confluence, or bike a smaller section with the whole family. 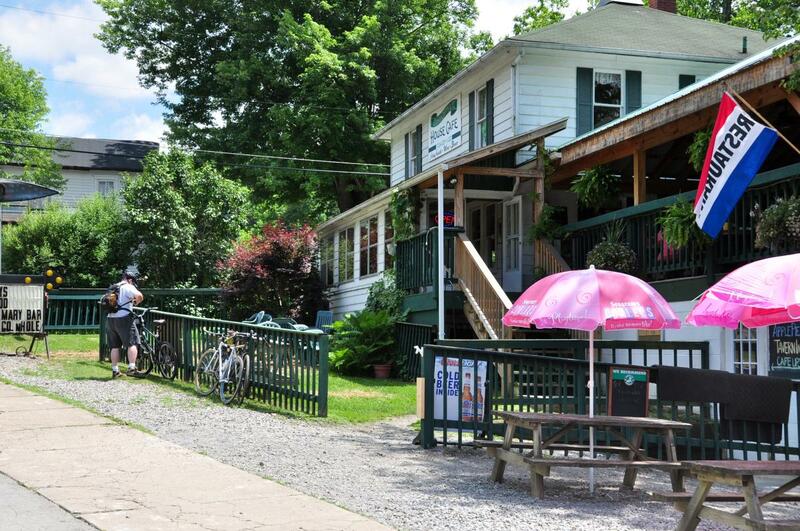 Enjoy stops along the way before biking back to Ohiopyle, or ask your outfitter to pick you up! 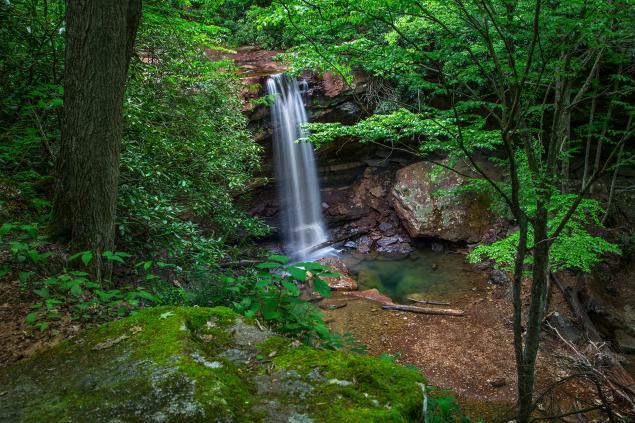 Visit Cucumber Falls, a picturesque waterfall without the hike, or Meadow Run Natural Waterslides, each perfect spots for cooling off after a long day of activities. Take a short drive to Baughman Rock Overlook and take in a breathtaking view of the Youghiogheny River Gorge. The Laurel Highlands offers hiking trails for all skill levels. Experience the thrill of flying through the trees at Laurel Highlands River Tours and Outdoor Center. 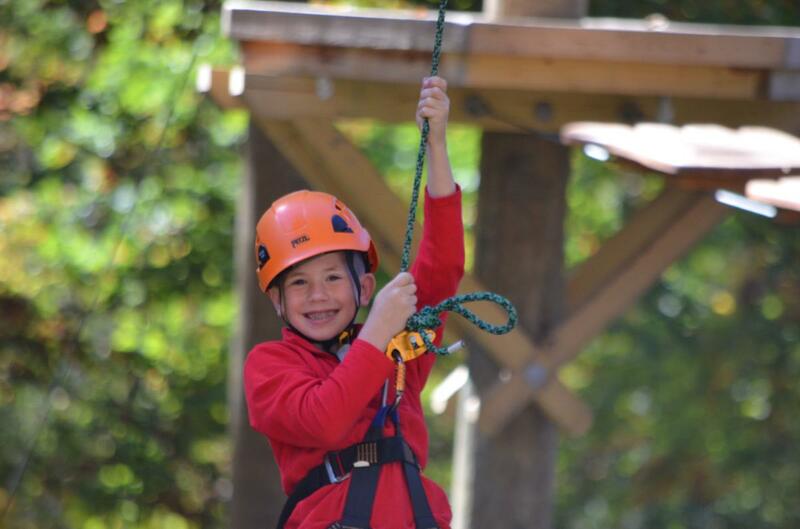 With two levels of difficulty, the adventure park is fun for all ages! The adventure level, for ages 10 and up, features agility challenges 25 above the ground, while the explorer level features smaller nets, planks and zips for children as young as four to enjoy. Spend your day biking and rafting with a Pedal and Paddle package! Pedal nine miles upstream and exchange your bicycles for boats so you can float and paddle back to Ohiopyle. Book with Ohiopyle Trading Post and River Tours, Wilderness Voyageurs, Laurel Highlands River Tours or White Water Adventurers. 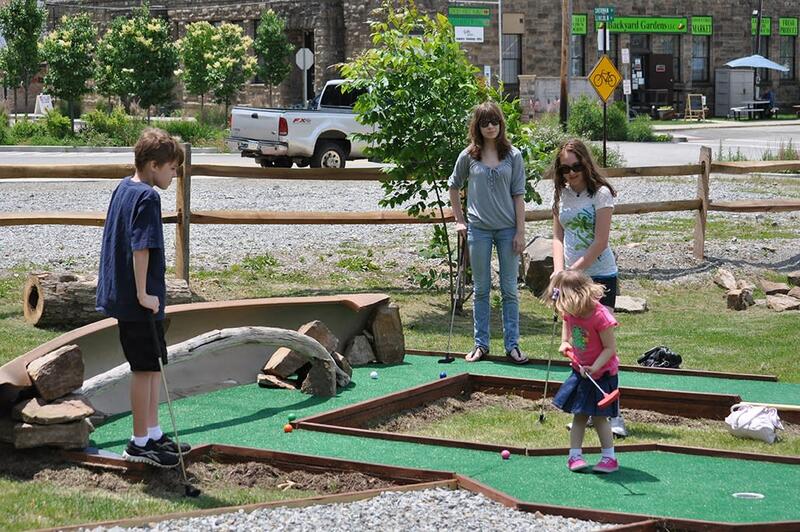 Challenge the family with a friendly competition for all ages at Ohiopyle Mini Golf. The nine-hole golf course is the perfect activity that will keep the entire family entertained after an exciting day of rafting or biking. Whitewater rafting is hard work. 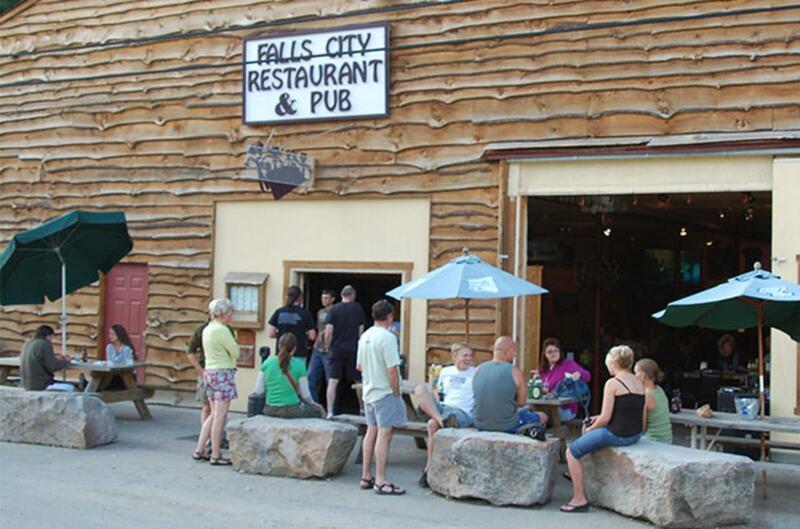 Reward yourself with some great food and an extensive microbrew list at Falls City Restaurant and Pub, located in the heart of Ohiopyle! Enjoy entertainment, special events and live music throughout the summer with a frosty glass of your favorite beer. With over 50 craft beers, frozen margaritas, apple pie moonshine and fruit-infused spirits, Ohiopyle House Café is the perfect stop after a long day on the trail or the river. Enjoy local produce in the tavern or on the deck. Stay within walking distance of whitewater rafting excitement in one of the Ohiopyle Guest Houses. Reserve an entire home that can accommodate 8 to 12 people or a single room for your next whitewater rafting trip. 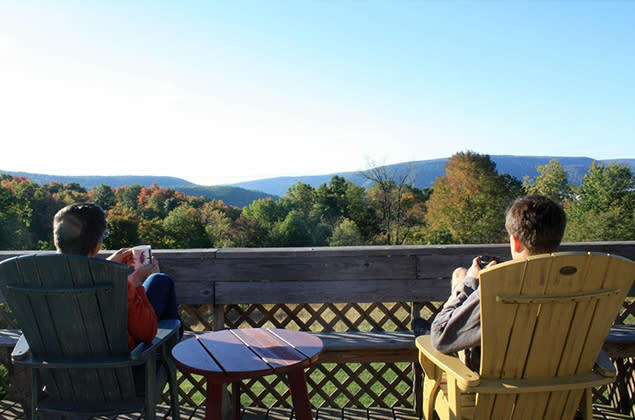 At the Trillium Lodge, guests enjoy a spectacular 360 degree view of the Laurel Highlands, including Laurel Ridge, Chestnut Ridge and the adjacent Ohiopyle State Park. The lodge, located four miles from Ohiopyle State Park, is the perfect place for a relaxing getaway! 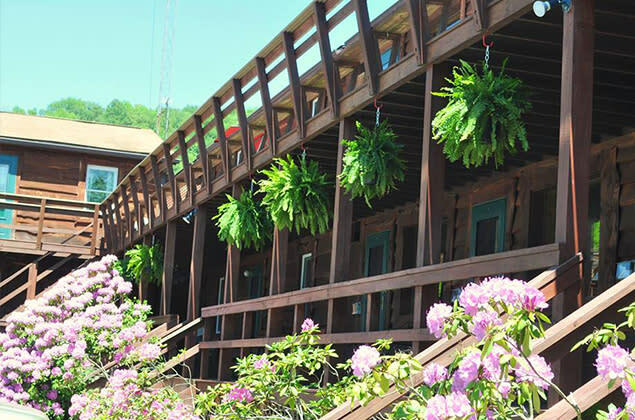 Conveniently located in Ohiopyle, the Yough Plaza Motel includes 10 standard rooms, as well as four suites that sleep six people with a full kitchen and living area. 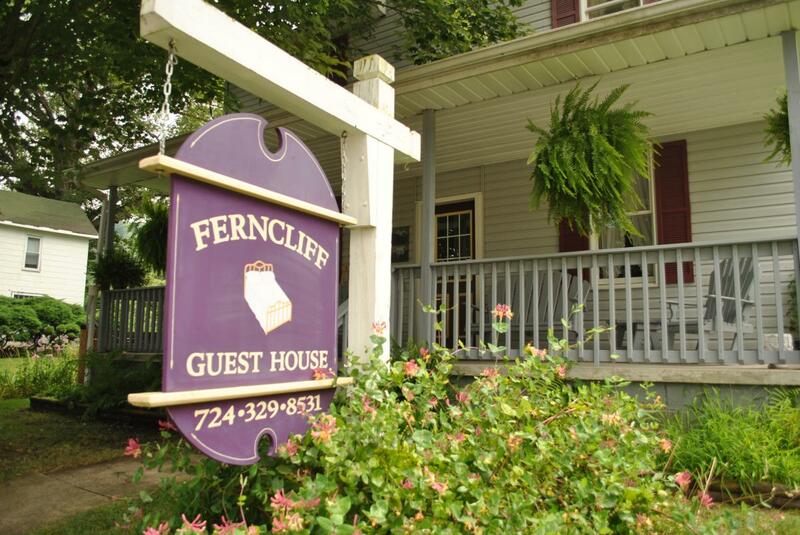 The motel is within walking distance of restaurants, the Ferncliff Peninsula, bike rentals, rafting trips and more. 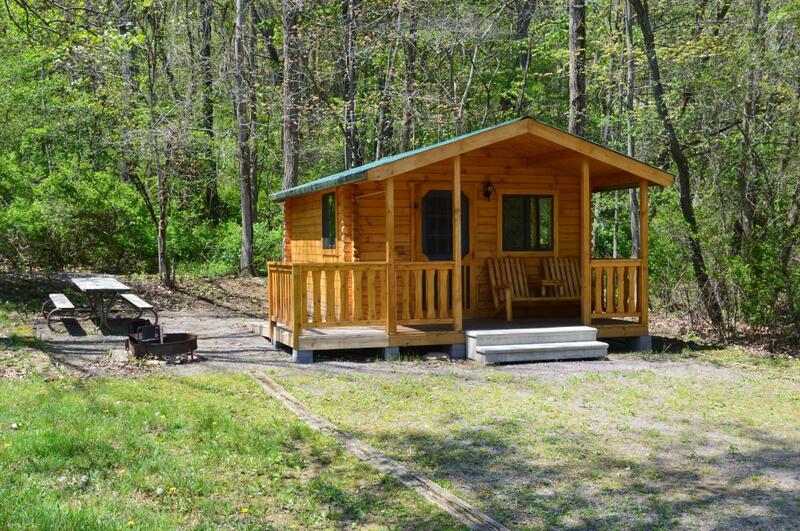 Located on the Youghiogheny River Lake in Confluence, Yough Lake Campground features a wide variety of sites from walk-in tent sites to one room cabins. The campground is a perfect place for boating enthusiasts to stay, it is only a 20-minute drive from downtown Ohiopyle.